A disconnect remains between the way many organisations pursue enterprise architecture (EA) and the impact of EA on the business, which prevents EA from delivering business value, according to Gartner, Inc. EA practitioners need to re-examine old practices and shift their focus to deliverables that direct change and empower business and IT leaders to make better decisions. "Focusing on a standard EA framework doesn't work," said Brian Burke, research vice president at Gartner. "In the past EA practitioners focused on deliverables that were useful to enterprise architects but not valuable to senior management and/or did not respond to a specific business or IT need." "We've witnessed a change in mind-set, execution and delivery of EA. The value of EA is not in simply 'doing EA', but rather in how it can help evolve the business and enable senior executives to respond to business threats and opportunities," said Mr Burke. 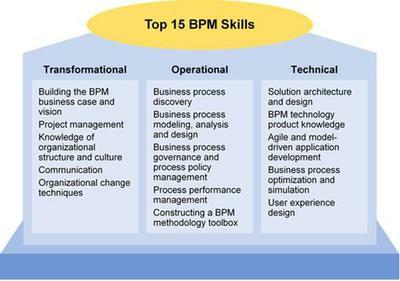 "EA leaders must shift their focus to create actionable and measurable deliverables that address specific business outcomes and work with other business and IT disciplines such as business process management (BPM), programme and portfolio management (PPM), business information (BI), finance and human resources to leverage their efforts and move to value-driven EA." Gartner has categorised five types of deliverables that will help EA practitioners deliver business value from EA efforts. "EA practitioners need to find the right balance of resource investment (time, energy and money) between all of these deliverables, while understanding that stakeholders only value actionable and measurable deliverables," said Mr Burke. Measurable deliverables specifically measure the direct impact of EA on the business. Currently, less than 44 per cent of EA organisations worldwide have defined metrics*. And even fewer are focusing metrics on business outcomes. It's often the case that many of these organisations measure what an EA team is doing, for example how many deliverables created rather than gauging the impact of EA on the business. Actionable deliverables drive change and must have a direct relationship to business outcomes and stakeholder requirements. Actionable deliverables present senior IT or business executives with a decision to be made or a specific action to be taken that moves the business toward a future state. Because actionable deliverables must invoke some change, they are easily measured - did the recommended change occur or not? Diagnostic deliverables include models, requirements and analysis tools that are designed to enable IT and business leaders to understand the impact of different decisions made in response to business disruption or business opportunity. Diagnostic deliverables combine different views of a problem or opportunity to address a specific need. For example, for a durable goods manufacturing organisation that is trying to make a business and IT investment decisions on a new market/product opportunity, diagnostic deliverables might include an illustration of the critical affected business capabilities using a business capability model. Enabling deliverables are composed of information that is collected; they provide input to diagnostic deliverables that represent the business, people, processes, information and technology. For years, these have been considered the primary deliverables of EA. Enabling deliverables are collected from existing information sources, such as performance metrics, reports from PPM, or a business process diagram from BPM. Operational deliverables are the artefacts that EA practitioners use to help them define, communicate and run their EA program. These deliverables are largely focused on defining what EA practitioners "do," and on positioning EA goals and governance structures. Examples of these operational deliverables are in the EA team charter, the EA steering committee and architectural review board charter. Gartner analysts will further discuss the future of EA at the Gartner Enterprise Architecture Summit 2012, taking place from 14 to 15 May in the UK, London, and in the US from 23 to 24 May in National Harbor, MD. For further information about the Summit in London, please visit www.gartner.com/eu/ea. Members of the media can register by contacting Rob van der Meulen at rob.vandermeulen@gartner.com. For further information about the Summit in Maryland, please visit www.gartner.com/us/ea. Members of the media can register by contacting Christy Pettey at christy.pettey@gartner.com. Additional information from the summits will be shared on Twitter at http://twitter.com/... and using #GartnerEA. A unique confluence of disruptive trends from the nexus of cloud, social, big data and mobile technologies provide an unprecedented opportunity for EA practitioners to deliver business value from EA better than ever before. The Summit can help organisations navigate the nexus of change to deliver business value, growth and transformation, but also master their core EA competencies that are essential for EA success. Gartner analysts will also discuss the future of EA and how to leverage leading edge EA practices in the organisation.